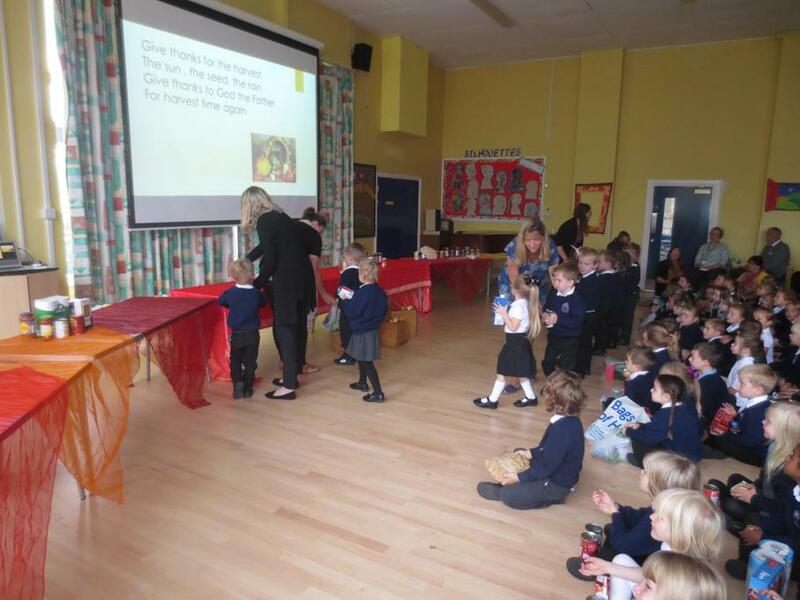 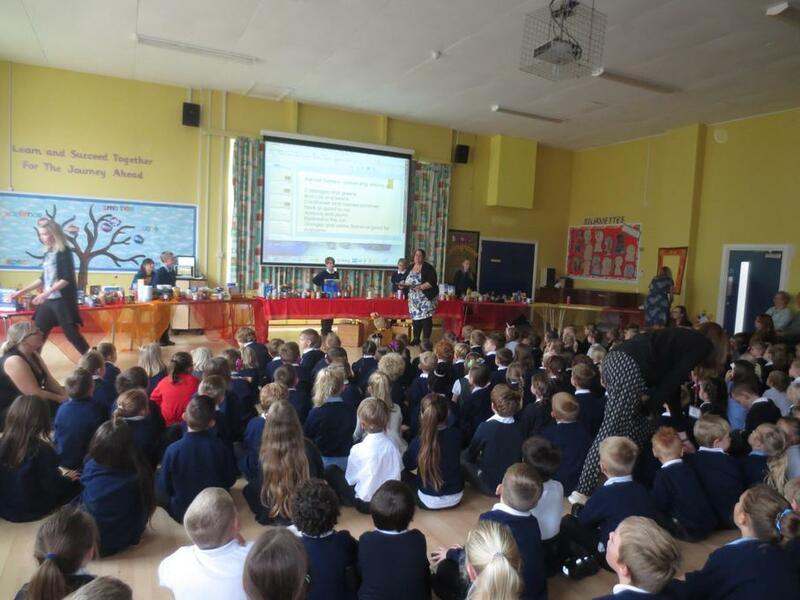 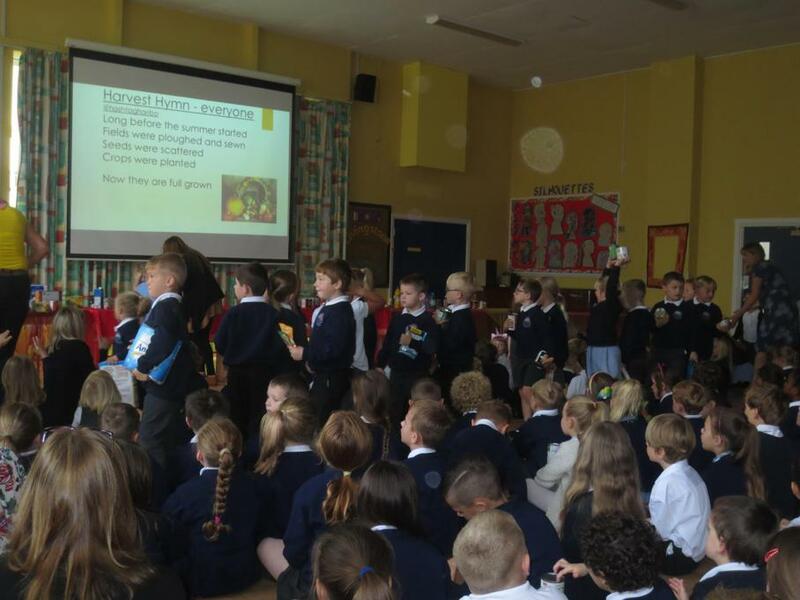 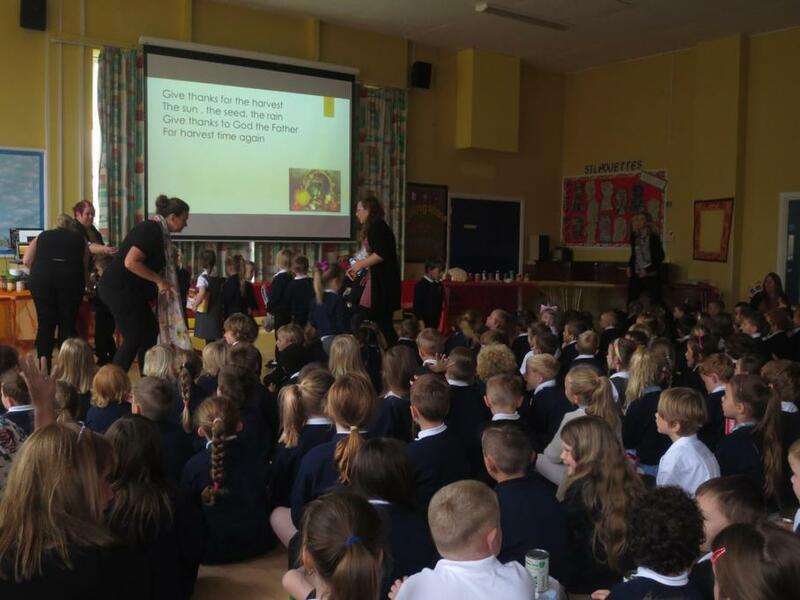 On Friday October 5th we had our Harvest Assembly. 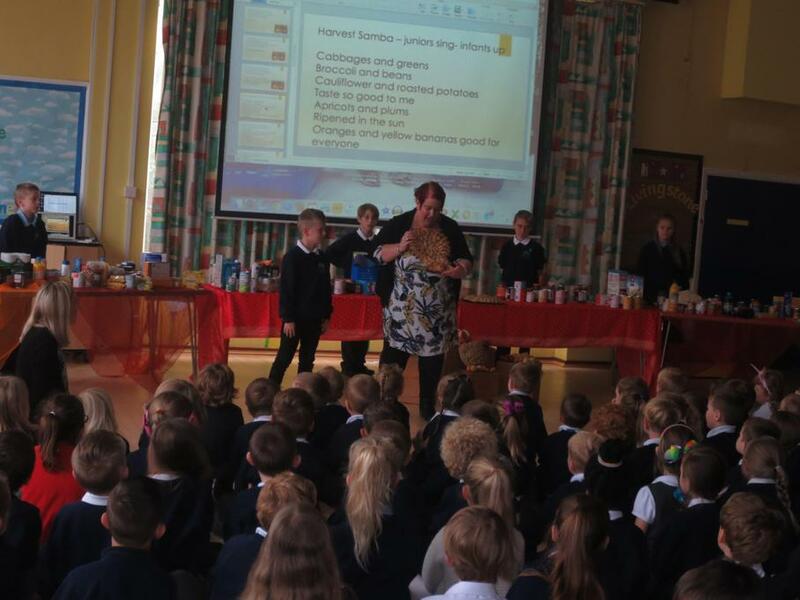 The children brought in a huge amount of food to donate to the Waterside Food Bank. 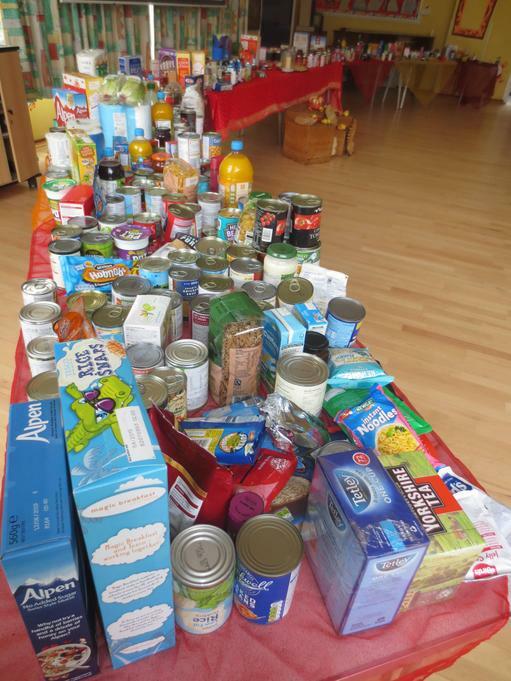 The donations surpassed all expectations. 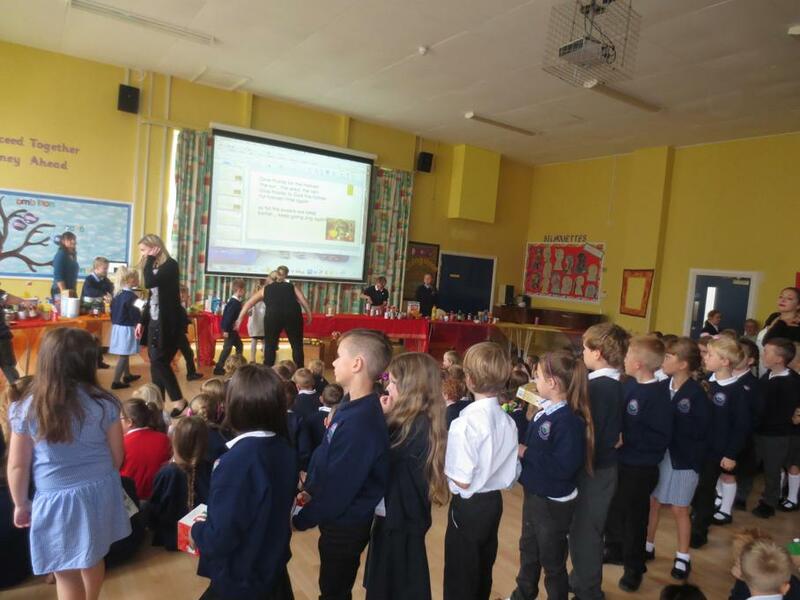 We had a lovely assembly during which Yr R gave an amazing performance of Little Red Hen. 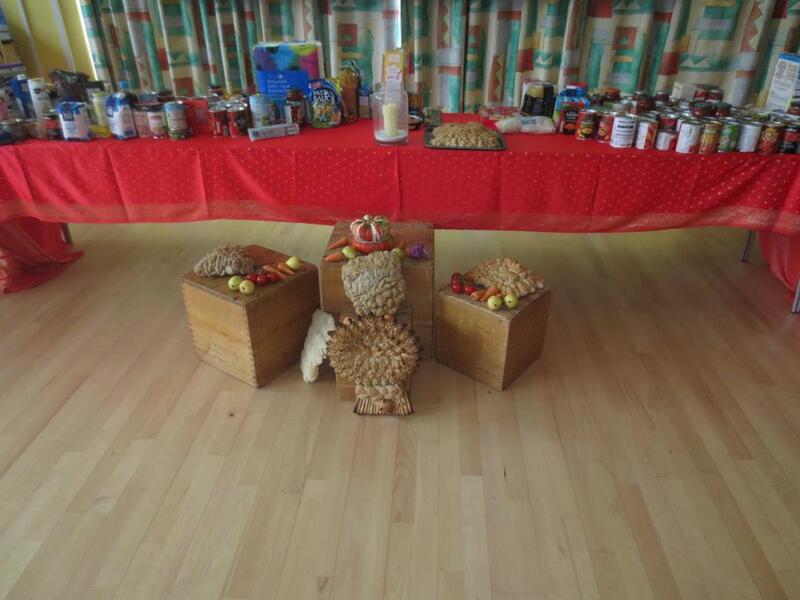 We would also like to thank Mr Gerard and his son for making and donating the wheatsheaf.